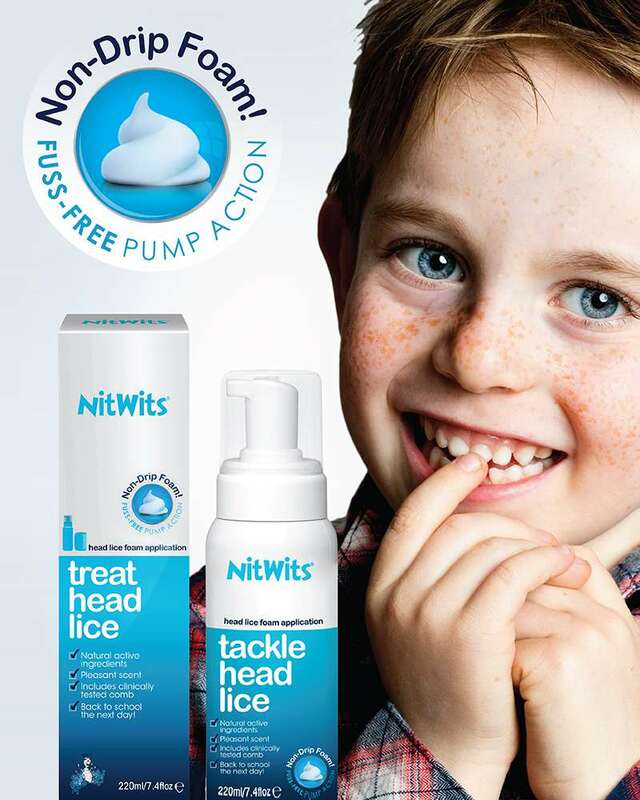 We know Mums and Dads don’t have time for head lice so when they come along your world doesn’t have to stop! 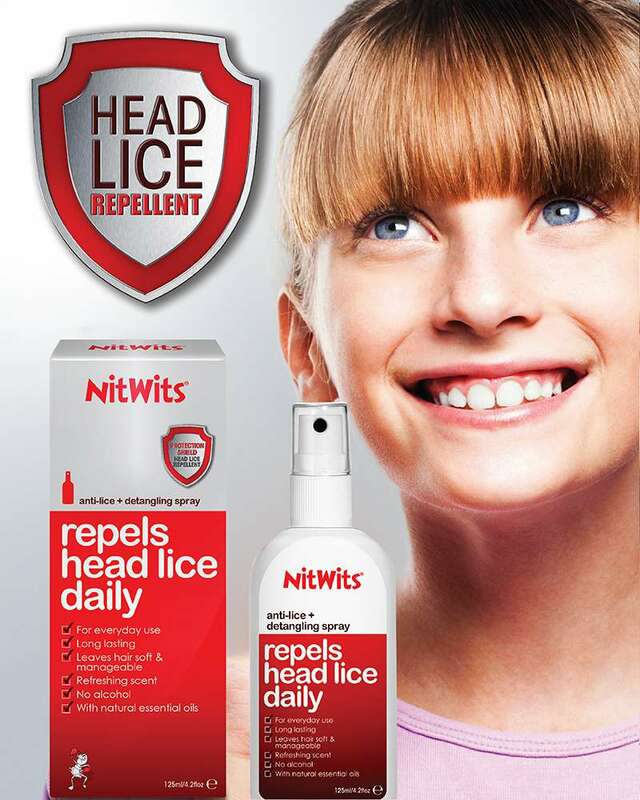 NitWits All-In-One makes it easy to treat head lice without the need to comb; so you’ll have more time for the important things. 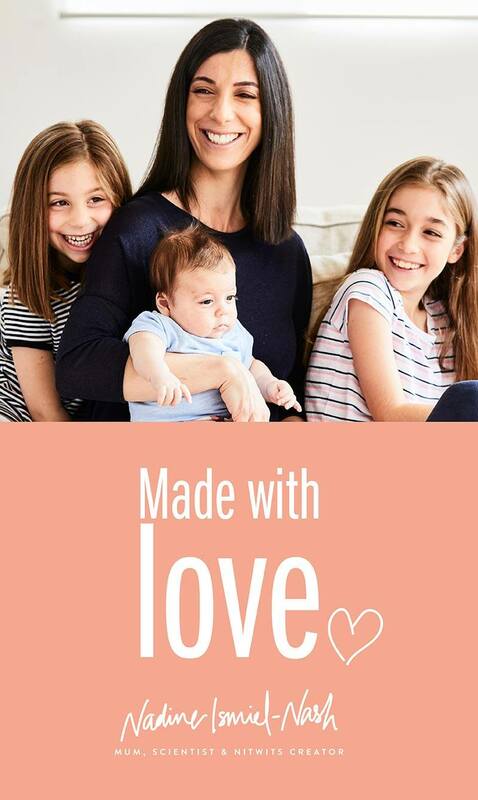 It's easy and stress free. 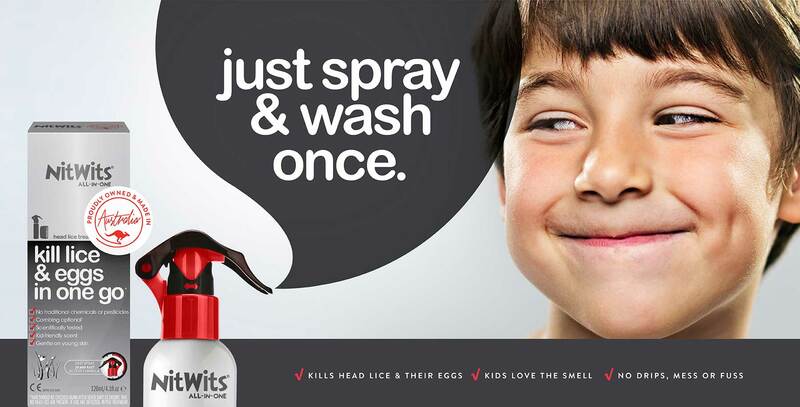 Spray everyday to ward off head lice. 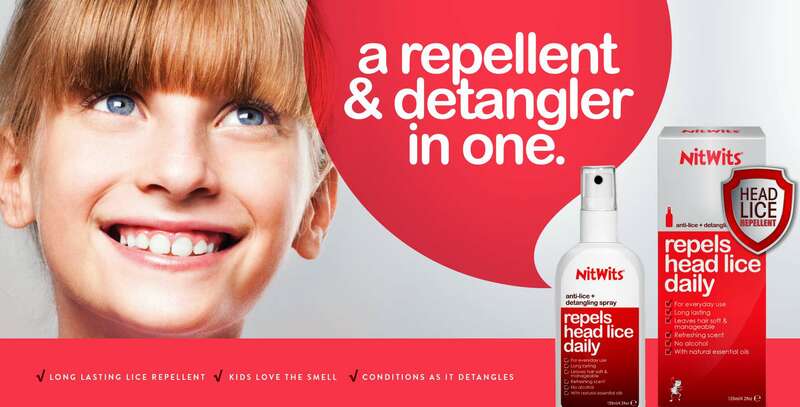 A repellent and detangler in one, formulated for everyday use. The addition of conditioning agents work immediately to unlock knots making the daily combing and styling routine much easier. a repellent & detangler in one. 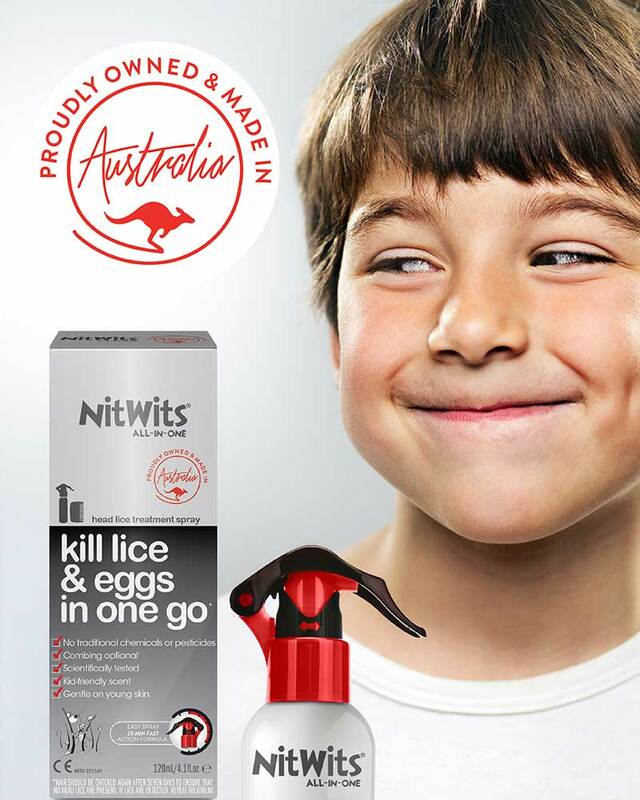 Spray to ward off lice. 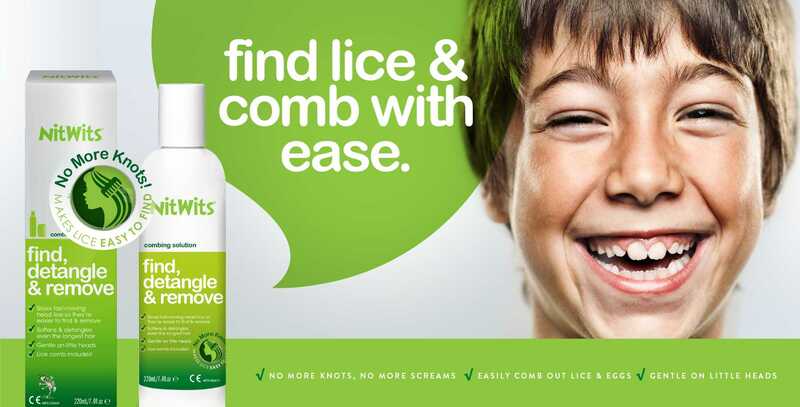 Locate lice making them easier to locate and remove. 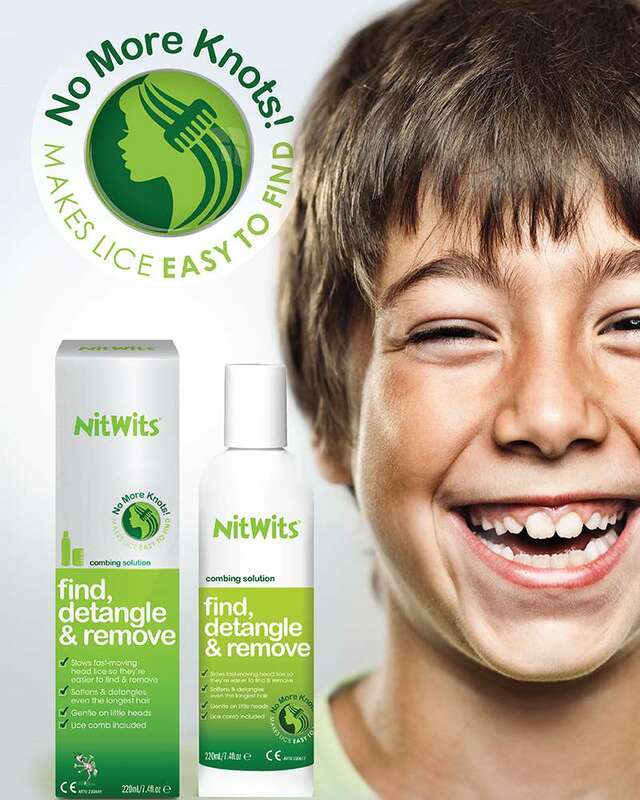 Find and remove lice easily with NitWits Combing Solution! The conditioning cream also works to detangle knots and is specifically formulated for long hair. 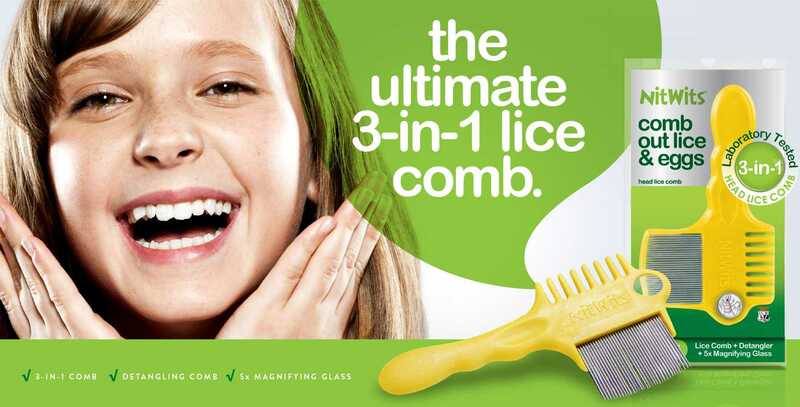 Best used in conjunction with the NitWits Head Lice Comb. An essential tool for checking, combing and removing head lice. 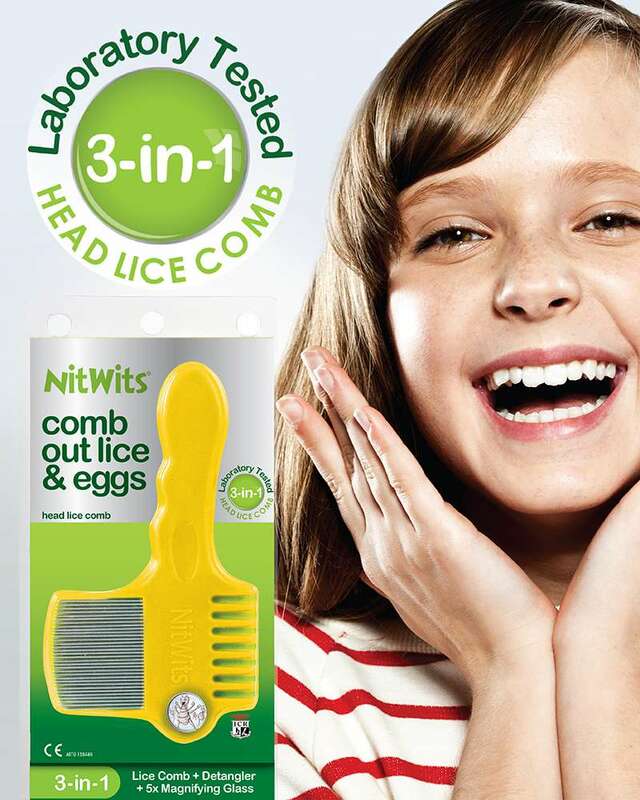 The 3-in-1 NitWits Head Lice Comb makes weekly head lice checks and head lice removal easier with a 5x magnifying glass, stainless steel comb and detangling comb. 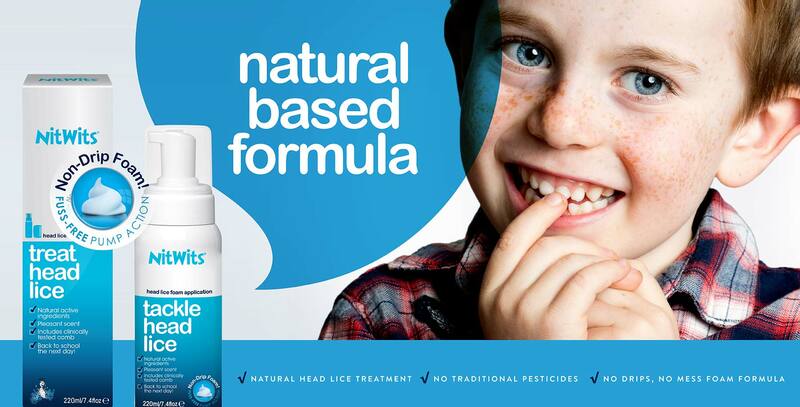 A natural based head lice treatment in a no mess foam formula that tackles head lice in just minutes.